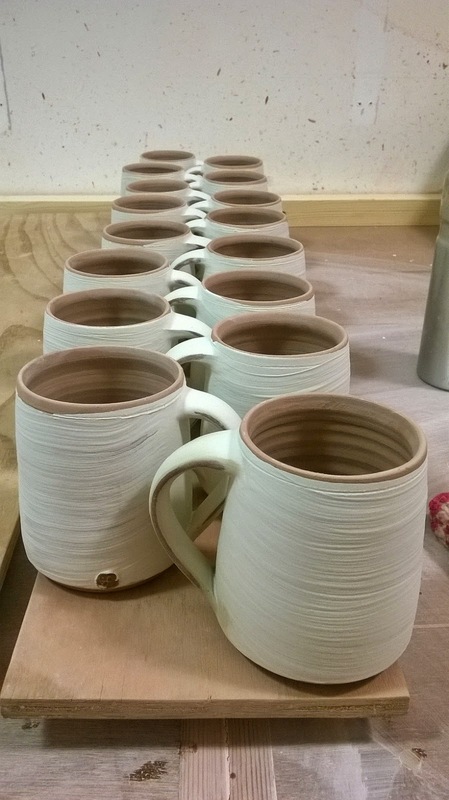 made a lot of mugs and statement pieces. 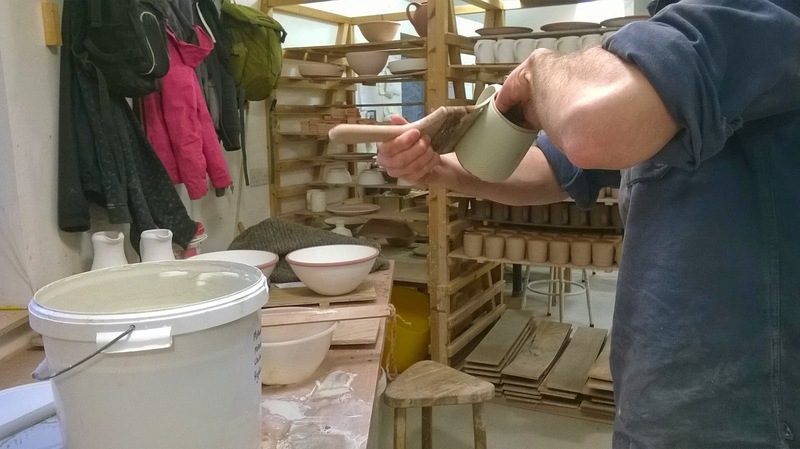 I have helped with the brushed slipped mugs, which involves dipping the mug in slip, then brushing the slip whilst it is still slightly wet. My job was to clean the bottoms and sponge the edges of the handles to prevent cracking of the slip. was the film maker and he did a really good job of representing the processes involved. 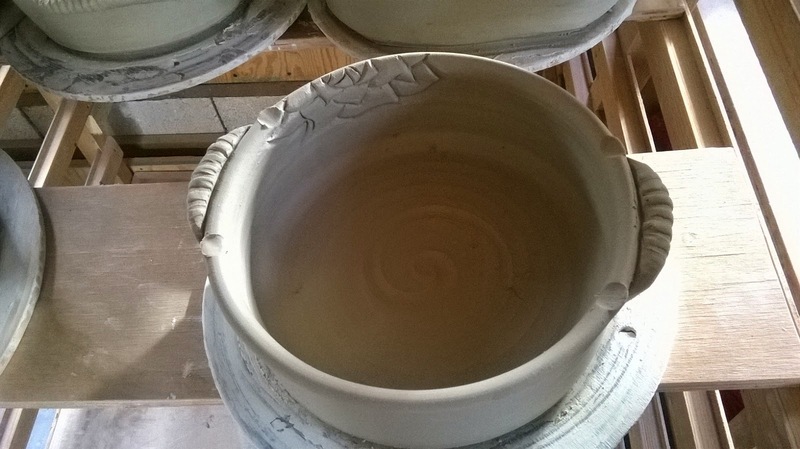 I have spent a lot of time working on my own pieces recently, as I am preparing for Hatfield and for my showcase in the shop at the Leach Pottery, which will be the start of June, just before I finish. 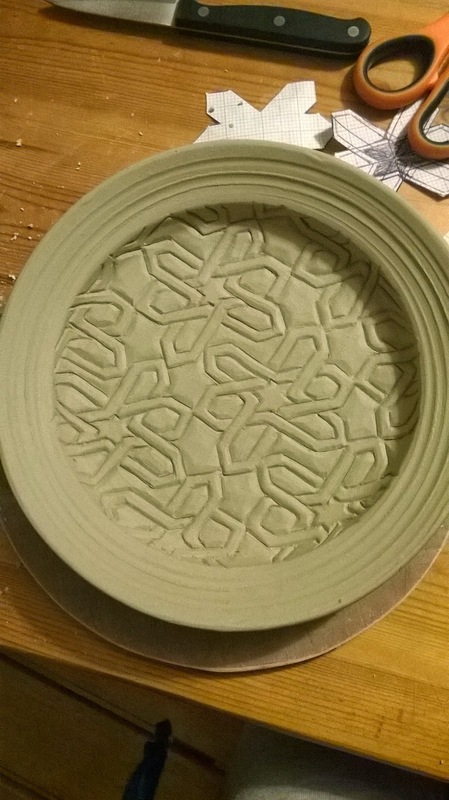 I have made oven dishes, bowls, mugs and decorative platters. 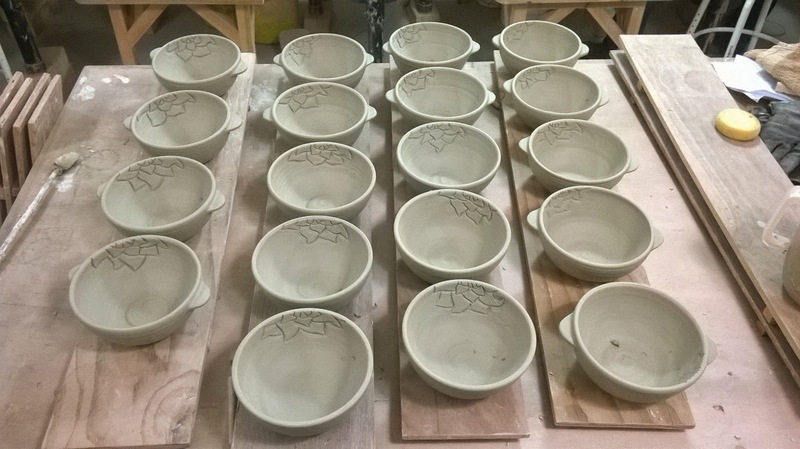 This weekend I glazed a lot of my pots, so I will soon be doing a glaze firing, which is always exciting!